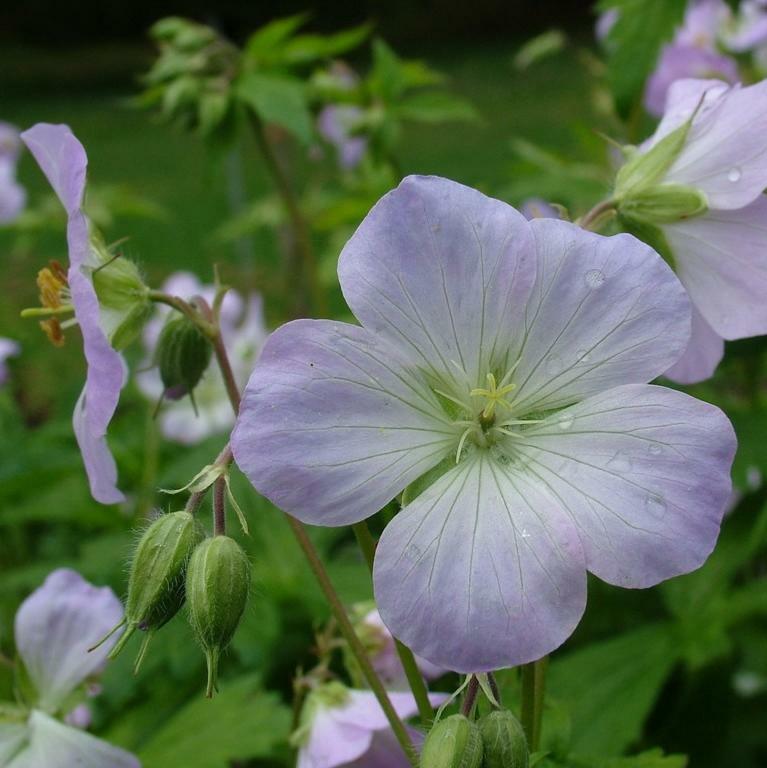 Geranium maculatum ‘Beth Chatto’. Has the most lovely clear, pale sugar lilac pink flowers that it shows off to great effect in outward facing clusters above the pale green fingered foliage. 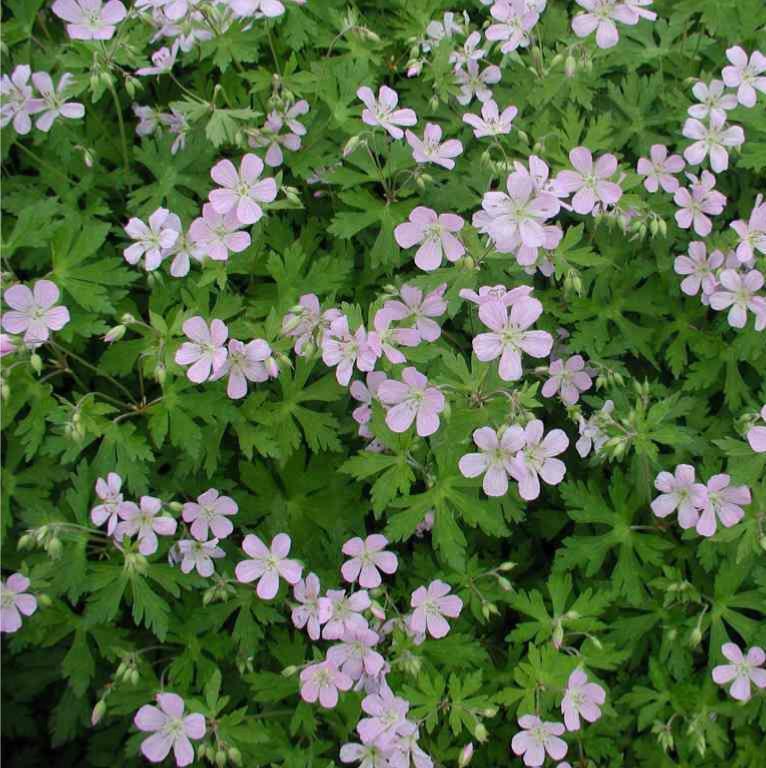 Geranium maculatum is a variable moisture loving spreading species, possibly the best of the North American species. Flowers appear April to June and often again in the autumn. Best in damp shade. There is some debate regarding the origin of this lovely variety which nominally commemorates the indefatigable Essex plantswoman who has done so much to further our appreciation and understanding of garden plants and gardening. It was certainly not named by Beth, some saying that it was named in the US and that the name is coincidental. Whatever the truth, this plant will in the UK always be associated with those famous gardens.